With Fourth of July weekend almost upon us, there is no doubt that summer has well and truly arrived. And there is nothing more refreshing during these warm months than cooling off with a delicious treat made with one of our all-time favorite deserts – ice cream! 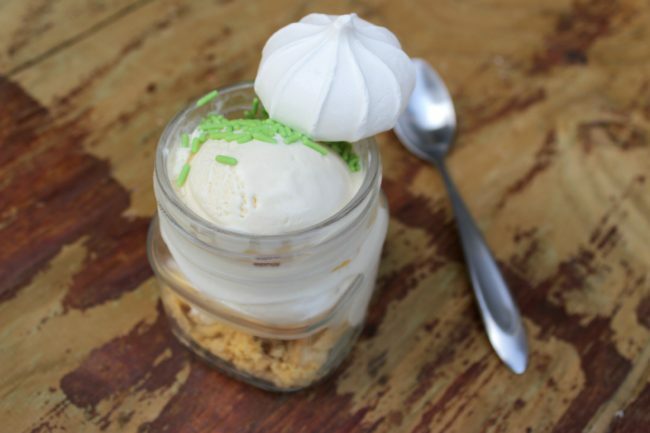 Dallas blogger, Rory Lassanke from Mamá Contemporánea, created a vanilla ice cream and lemon dessert that is just as delicious as it is easy to make. The steps are so quick and simple that it’s the perfect opportunity to gather the kids to join in to help make this sweet and tart concoction. Plus, who doesn’t love a good reason to get the mini mason jars out of the cabinet? 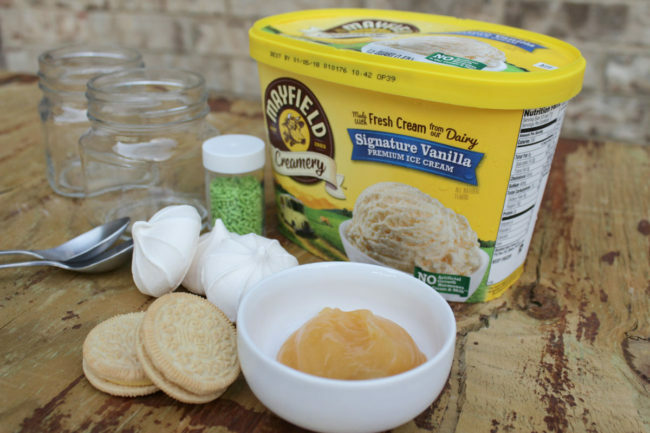 Enjoy this refreshing treat, made with Mayfield Creamery Ice Cream, during all your special everyday celebrations this summer – be it a big get-together with all your loved ones for the 4th of July or a relaxed afternoon at home with your family. Mash 5 lemon cookies with a fork. Place the cookie crumbles at the bottom of the jars. Add a scoop of ice cream, then one tablespoon of lemon curd, and then another scoop of ice cream. Decorate with a merengue and the green chocolate chips on top.